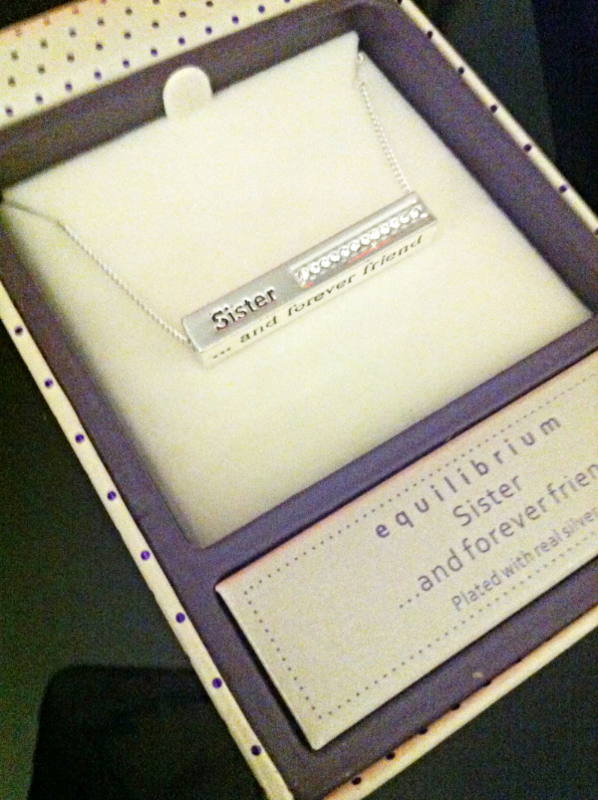 Sister... and Forever Friend ~ Beautiful Gift Boxed Item... perfect for Christmas, Birthday etc. 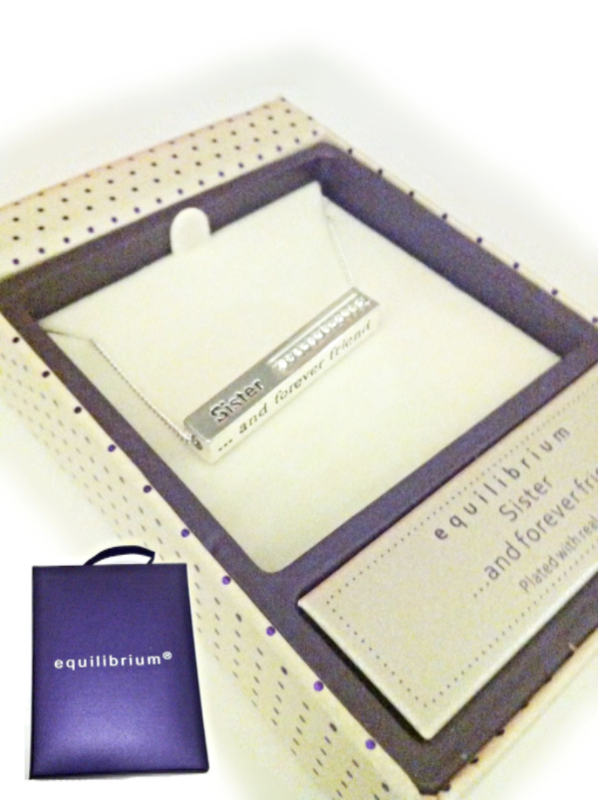 Equilibrium Silver Plated Sparkle Block Necklace - especially for a special sister. 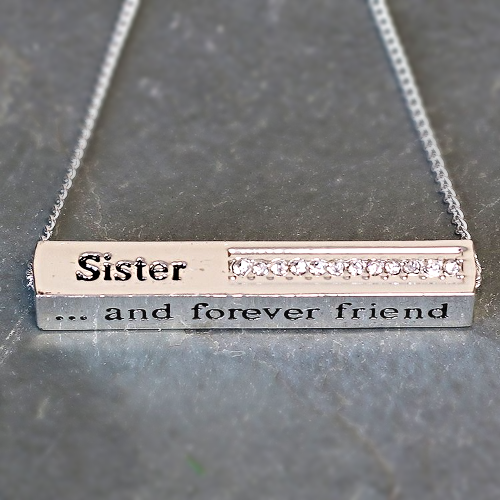 Charm ended chain approx 17" standard length (22cm drop / 44cm in total). 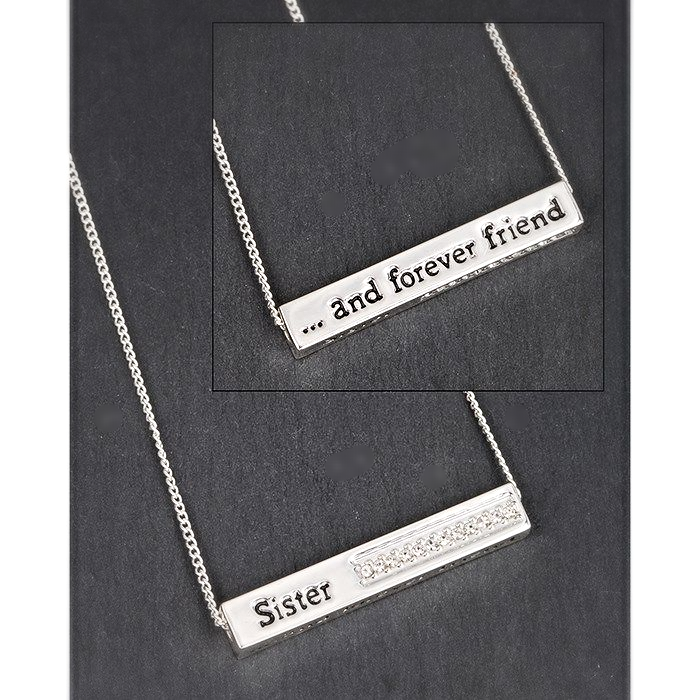 The text and diamante block is approx 3.5cm in length and 0.5cm width - square block with the word sister - then .... and forever friend, on the other side of the block. 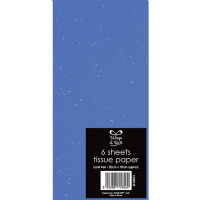 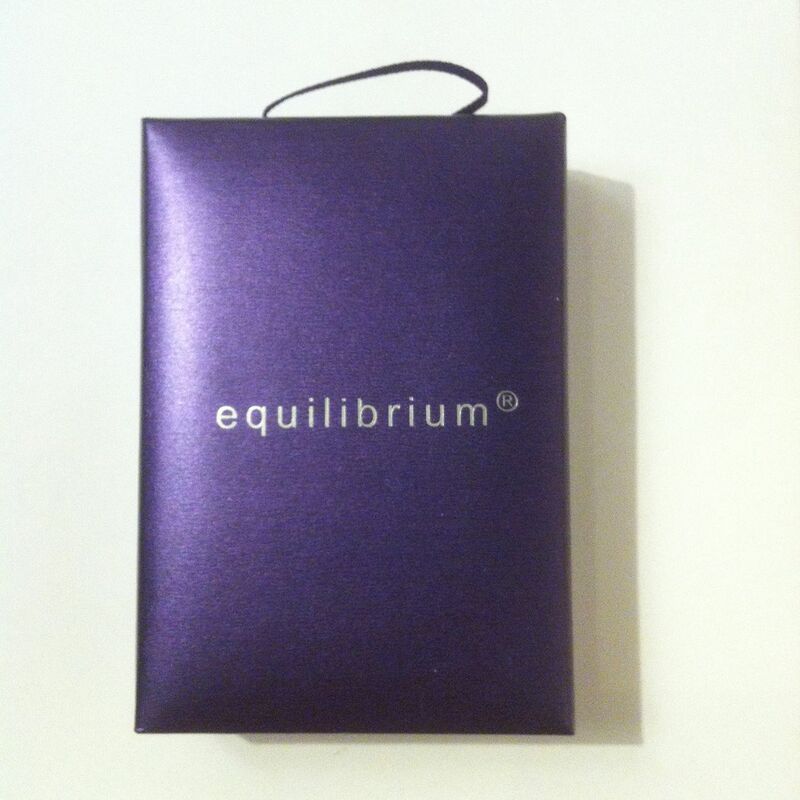 The box is a deep midnight blue/purple with a polka base - very classy with the branded Equilibrium monogram.